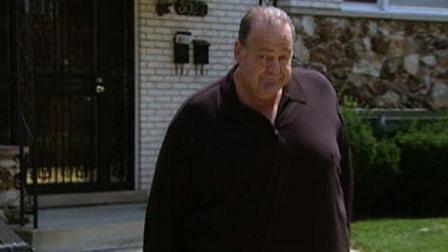 Chicago mob boss Mike ''The Large Guy'' Sarno will find out on February 8, 2012, how long he will spend behind bars. Sarno was supposed to be sentenced Friday but one of his attorneys is dealing with a family emergency and asked for the hearing to be delayed. The sentencing has been put off a number of times already. It's been almost a year since Sarno was convicted of running a racketeering enterprise in connection with a suburban gambling business. The six-week trial proved Sarno had carved an alliance between the Chicago Outfit and the Outlaws motorcycle gang. Outlaw biker members Anthony and Samuel Volpendesto, Mark Polchan and Casey Szaflarski were also convicted in the case punctuated by the 2003 bombing attack of a Berwyn video poker machine company. The firm had been competing with Sarno's Outfit-run video poker business. Federal prosecutors are asking that Sarno receive the maximum sentence. Last month, the government submitted to the court a 2003 I-Team report to support their argument that Sarno be sentenced to the longest possible term in prison. ABC 7's broadcast in June 2003 focused on a restructuring of the Chicago mob ordered by imprisoned outfit leader James Marcello. "Little Jimmy," as he is still known, was doing time for racketeering, gambling violations and extortion, and still running the outfit's business from the barbed-wire Hilton. Included in the June 3, 2003, I-Team report was this information about who had been tapped to oversee the Chicago outfit: "This mob heavyweight, 350-pound Michael 'Fat Boy' Sarno, whom Marcello has just installed, according to U.S. law enforcement source." Based on his organized crime stature, the government will ask that Sarno's sentence be enhanced to 25 years. Defense attorneys dispute the contention that Sarno is a crime boss. They have submitted 100 letters from Sarno's friends, neighbors and relatives that portray him as a good family man and a fine American. They also cite his numerous health problems that they say could be compromised by a lengthy stay in prison.